On this episode of The Dr. Will show, I hangout with Dr. Fatimah Williams Castro about careers beyond the Academy. Fatimah Williams Castro, PhD is the founder and CEO of Beyond the Tenure Track, a career strategy and professional development-consulting firm that assists academics in leveraging their expertise to secure meaningful and successful work. She is a speaker, author, and career coach whose professional development guidance has been featured in The Chronicle of Higher Education, Scientific American, University Affairs, Rutgers Today, and numerous podcasts, and in her book Be Bold: Launch Your Job Search or Career Change with Confidence. 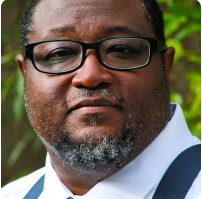 Dr. Williams Castro holds a doctorate in Cultural Anthropology from Rutgers University and bachelor’s degrees in Foreign Affairs and African American Studies from the University of Virginia. Awarded the nationally competitive Consortium for Faculty Diversity Postdoctoral Fellowship, Dr. Williams Castro serves as chair of the Workshops Committee of the National Association for the Practice of Anthropology and is a member of the Graduate Career Consortium and the National Postdoctoral Association. Additionally, Dr. Williams Castro is a former Associate Director at the University of Pennsylvania Career Services. She has spoken at various universities and organizations across the country to include Princeton University, Yale University, and the National Center for Faculty Development and Diversity. 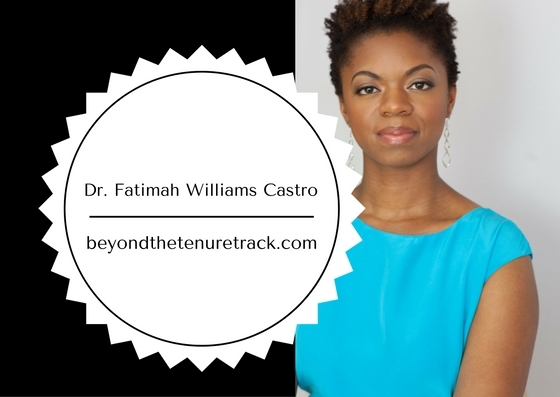 To book Dr. Williams Castro to speak at your next event, contact her at fatimah@beyondthetenuretrack.com.